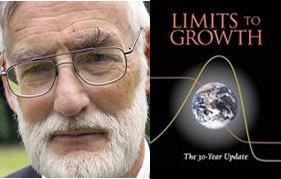 The Club of Rome and the Smithsonian Institution’s Consortium for Understanding and Sustaining a Biodiverse Planet hosted a one-day symposium on March 1, 2012 celebrating the 40th anniversary of Limits to Growth. The first report to the Club of Rome was published in 1972, and it was followed with vilification. By 2012, the scenarios offered proved correct, and two truths have become evident. First, there will be a managed solution by putting a price on GHGs and creating new energy solutions. Second, this is a bet made and one assumption. There will be a series of catastrophic resolutions with severe social, economic and environmental “chaos costs” in the world to create needed change. Whether it is small or big business or national or local politics that provides the urgent action needed is of little consequence because it is too late to achieve sustainable development for five main reasons. Public discourse has difficulty with subtle, conditional messages. Growth advocates change the justification for their paradigm rather than changing the paradigm itself. 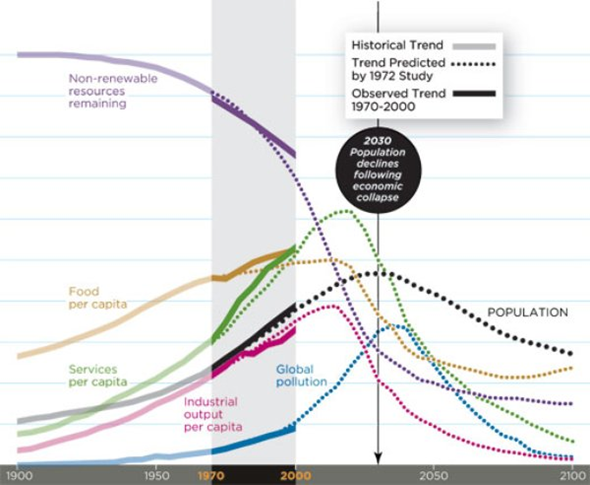 The global system is now far above its carrying capacity. We act as if technological change can substitute for social change. The time horizon of our current system is too short. The term resilience is more common than sustainable for these reasons. The actions called for fit into what business and governance believe they can implement in their self-interest. Dennis Meadows’ investment in getting us to accept “resilience first,” like “fix it first” gets our ducks in order. How does density fit in? high volumes are contained for advanced treatment. sustains natural habitats and can stop open space fragmentation.